You are here: Home / Social Media Marketing Tips / How we Doubled our Traffic from Pinterest in 90 Days! How we Doubled our Traffic from Pinterest in 90 Days! Is it even worth bothering to try and double let alone increase traffic from Pinterest to our blog at all? Heck with the changes coming thick and fast its sounds like a lost cause…Or is it? In 2014 we created a Pinterest account and forgot about it. We neither verified nor created a business account, yet still got over 250 followers without pinning anything useful other than other people’s great content on 1 board! In 2015 we verified & linked Pinterest to our blog/website. We started getting approx. 50 – 80 visitors per day from Pinterest. While that is peanuts to most, remember we still weren’t doing anything special at all! Yet that traffic was consistent, we know lots of sites that barely get 1 visitor a day! The number started increasing every time we pinned a post. Mostly we were pinning our own Blog content using blog images, not optimized for Pinterest. And guess what happened soon afterwards, we started getting more notable traffic around 200-400 visitors per day. THIS WEDNESDAY WE ARE GOING TO TEACH YOU HOW TO GET MORE LASER TARGETED PROSPECTS TO ALL YOUR CONTENT AND OFFERS. A MUST ATTEND FREE WEBINAR – REGISTER HERE. So I started taking note of what I was doing and tracking so I could share the results either way. We also decided to find more info on a working strategy to double our traffic from Pinterest and this has been increasing monthly until Feb 2016 when there was a Pinterest algorithm change! In October 2015 I decided to give more time to Pinterest marketing because it seemed to be a great source of constant and targeted traffic. In December is when the serious experiment started! 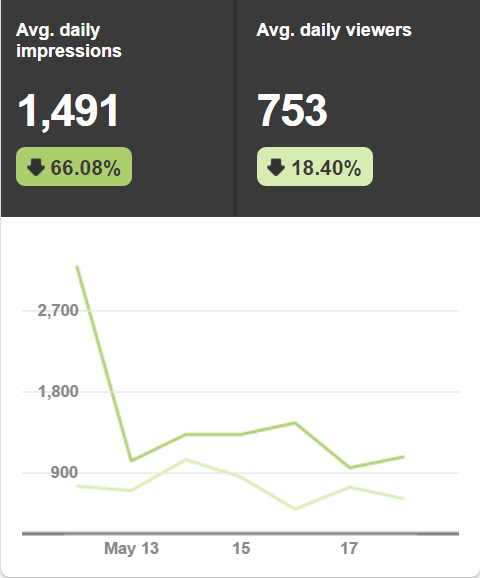 By then we were averaging 300+ Pinterest visitors every time we pinned and this continued thru the week. December was especially busy, and I put it down to Christmas frenzy. The season didn’t slow down the traffic. Please note that although I was more focused on Pinterest I wasn’t doing anything on the blog different, other than creating Pinterest optimized images and adding a proper description, with the keyword as a #hashtag! These are easily implantable steps that any serious blogger or internet marketer esp. Network Marketers (There is a dire lack of quality content form this space on Pinterest,) can apply and duplicate to get more traffic from Pinterest daily! Caution: if you don’t like to focus your time and efforts then this isn’t for you! Okay most of the work was done at the start! i.e. some 3+ hours per week then it automated the whole system & dropped down to 10-15 mins per day. And don’t mind if you have already done the first steps, simply jump to the relevant next step, and do it right! Step #1: To get and increase traffic from Pinterest to your site, Create and Verify a Pinterest Business account! Determine your goal. Ours was to Increase Traffic from Pinterest and maybe increase follower numbers to 1k+. This helps you benchmark and once hit, will allow you to focus on bigger goals! Step #2: Identify the successful Pinners & Boards that are in your niche, study what they are doing what they are pinning, how often ratio of their content to other people’s content. Modelling their actions, will ensure you are more likely to hit your goals! Step #3: Identify the pages/posts on your blog/website that are already getting traffic from Pinterest this you will find in your Pinterest analytics once you have verified your site! I noticed that most of our Pinterest visitors visited 3-4 different posts/page. It was a no brainer to refresh, improve the content and thus increase the traffic that was coming to these posts and also get more posts to the same quality to receive similar traffic from Pinterest. And for this I needed to check our Google Analytics to see which posts were getting the most Pinterest visitors. I already knew our top traffic posts/pages, but I wanted to confirm which were not performing as well! If I could create great HD images for these posts, optimize the description and see what happens! May be I could get the traffic to these posts/pages to increase to at least 50 visitors/day from Pinterest! For this I created the next step! Step #4: Create a Spreadsheet or Google doc for tracking. This Sheet was similar to our Email Marketing Spreadsheet! Column 2 had my Top 10 Page/Post URLs getting decent Pinterest traffic. This should take you 2-5 mins tops as Google analytics lays it all out for you simply copy & paste! Identify more blog posts in your archives that might be ideal for Pinterest audience! Remember Step 2 Above, niche Pinterest users who are successful & what they post, if your content is similar, bingo! That’s how you will know which of your posts would do well. So visit your blog and sieve your posts that will suit this process. Don’t mind current performance on traffic. Add those URLs to your spreadsheet/google doc. This step may take a little bit more esp. if you have over 200 blog posts like we do and you are going through every category. Don’t be mean to you, this is your online real estate and you are gonna dress it up for your potential Pinterest buyers. So by this point I had exactly 33 posts that I wanted to use for this experiment I rounded it up to 35 URLs/posts! Step #5: Create a Graphic for Each Post to Increase Traffic from Pinterest! And well its quite simple here, Pin the images to the relevant board and cross promote to your other socials, if you are part of a Tailwind Tribe go for it too! The pins that get the most re­pins and most clicks will typically be the ones with the most effective images, description or simply topic of discussion or season! On Pinterest vertical images 734 x 1100 pixels with warm colours stand out the most. So I highly recommend you use tall graphics. And you don’t have to have Photoshop or be an artist to create awesome Images. Using text on the images did help lots too, those images also performed way better! I used titles of the post as Image overlay text to attract even more attention and traffic from Pinterest! Last week I shared a full tutorial with an awesome tool to create funky fun already optimized images for social media incl. Pinterest! Or use Canva which has great tutorials for newbies. Or other free royalty free images online! Word of Caution: Always give attribution or credit for the photo if you just found it online or you could fall foul of copyright laws! OR simply use resources that offer royalty free stock photos that you can download for free for public use. For instance Unsplash, Pixabay & make sure to double check. BEST option is create your own images with your trusty android or camera and your PC. No need for fancy images, just make sure they are eye grabbing. Simply scroll to the top of your own Smart feed and you will see what is eye catching! Below are some examples of images that are doing great! The beauty with Pinterest is users are very specific, when they pin your stuff they are actually planning on either using it, sharing it or buying, whatever their aim, it’s all good! Whatever their aim I always advise to use text overlay on your images. In our case when shared all over the net more people can find the original source! I also add the URL in the description esp. now that Pinterest has allowed Affiliate links back on Pins, you can learn more about that here! So for this to work, ensure you either already have an image that’s Pinterest friendly on the blog post or create one! Remember I had 35 posts you may have more or less. Set aside 2+hrs at the very least to create your images! 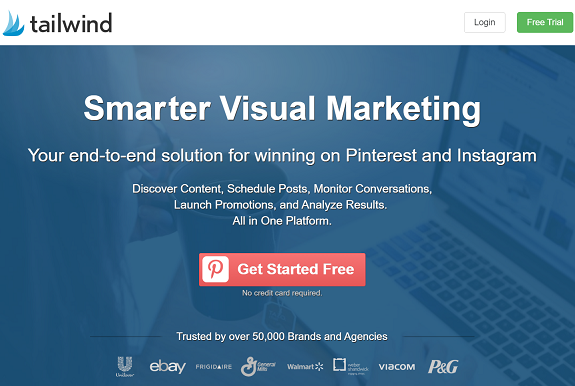 And from now on save yourself time, always create a Pinterest optimized image for EVERY BLOG POST. 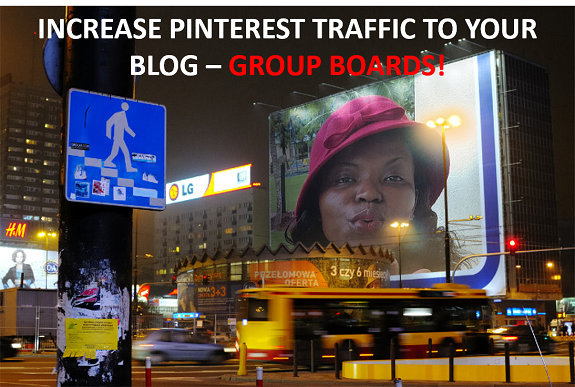 If you intend to attract some Pinterest Traffic to your content and offers! Create a Column in your Google doc or Spreadsheet for this step! Pinterest allows you to have group boards and while they were hit hard on the last Algorithm update, they are not completely dead in the water. Find smaller group boards with 500 or less active users. Reach out to the owner and ask to be a contributor. Usually they will allow if they find that you are an active pinner who also shares others content to your boards! OR Create your own Group Board and invite contributors. These other pinners that you invite to pin items to your board just like they do to their own boards. Just like you may be invited by other users to pin to their boards. Check your Pinterest Messages board or email for invites. This means that even if you do not have an established following of your own you can still get exposure for your pins if you are invited to some group boards that have a decent active following. The resources I employed for this step are Tailwind for Tribes of like-minded Pinterest users to share each other’s content & and PinGroupie. This is a free resource that allows you to research and find group boards on any Subject with active users. It gives you the owner or creator, number of pins, Users and how active it is! And it’s all laid out in table like form. So easy to use. The rest is up to you! And again this is labour/time intensive going thru boards, sending requests to the Creators to be a contributor and checking for their responses. Then once accepted actually visited the boards and Re-pinned lots of the already well performing pins to my own boards and pinned some of my own pins too. The ratio being 60/40 mine/other people’s pins! And I visited the boards for the week daily doing this and by the way I was pinning only 20 pins max including our own Pins! Just know that there is a huge number of boards the choice is mind boggling so you have a choice of boards if on says no or doesn’t respond…there is always another! And there no easy way to send a request to join a group board it’s all manual. Active Boards, I wanted boards with very recent pins. At least 24 hrs old max! Collaborators No Less than 5 – The more contributors the higher chances of me being accepted on the board. Some boards have over 100 contributors…These are getting less and less exposure though! Followers, I wanted Lots of followers as they would offer us more exposure, right! Targeted – I always want to prioritize my work. So the board content had to resonate with our brand or interests Our Pins had to fit in and be of interest to the other board followers. Board Description – And my final criteria is the Board description. It has to be well optimized for search engines too. So I of course check out the description of every board I wish to join. Some Owners set the joining criteria others don’t, and some are closed! Some even add an email to use for requests, Others asked to comment on their pins requesting for an invite, this worked great too esp. coz I would comment on their most recent Pin requesting for an invite to their board and re-pin it too! Note that in order for someone to invite you to join their Group board you had to follow at least one of their boards or follow them! I always did both! It shows good will too! Make sure you do the same, or follow another board from the owner, or they will not be able to send you an invite. If there are no instructions as to request an invite I click on the Board owner’s profile owner- their avatar is the first one shown on the group board. Find the link to their website, there is usually a Contact page or an email to contact them! I could tweet them or use their Facebook Page. Get creative here people! You are building a brand online! So some work is involved! 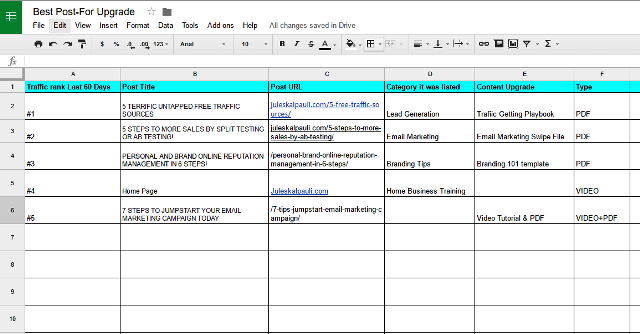 Step #7: Create a Pinning Schedule for your Refreshed content & Add to Spreadsheet. Avoid pinning the same image repeatedly on the same board. Which I have done before. And ensure that you spread the content to your different boards! My Spreadsheet guides me as to where I have shared the image and that its already been shared! Pin other people’s content between sharing your own pins simply type a keyword in the search bar and go head and pin what resonates with your brand esp. if it already has a high number of repins…Its popular and will attract more viewers to your boards! Don’t forget to pin your new images to Group Boards that you applied to and were accepted as a contributor. A few times per week I would go through my spreadsheet and pin the items. I didn’t want to pin more than 1 or 2 items per day to any specific group board. And no repetitions. I didn’t want to be called a spammer. And I wanted to see how many repins from other people too. I also didn’t want to pin the same item multiple times a day even if it was to different boards. So you too should pin different items to different boards, spread it out. This is what I did: I would normally pin 8 of our own pins, different content for each pin, then 10 other people’s pins on different boards. We have 45 boards! I of course didn’t do this all manually, no my friend, I used an online tool called Tailwind to schedule pins in advance. The beauty with tailwind is they suggest pins in your niche for you to repin too, sweet. So you don’t have to go thru the Pinterest feed. You could use BoadBooster or Viralwoot for your automation process. Tailwind allows you space your pins so you don’t repin the same item to a board several times! You could pin items to your own boards more than once if you’d like, but I don’t recommend repeatedly pinning the same item to group boards because it could easily be considered spammy. Now here is a Super Tip. I created a couple more images per post, so I could post the same URL/post with a different image to group boards too. This is great when pinning the same post on the same day as well! Tailwind is also great for automating your Instagram posts, thus saving you time on two platforms. Another awesome resource through Tailwind are the new Pinterest Tribes. These are taking the Pinterest game to a whole new level. If you share any Lifestyle content, you are welcome to our Pinterest Tribe. And the good news is Pinterest has let up on the Group Boards esp. if they are small ones with an active group of contributors. 500 or a little less is okay. So we now look for such groups via PinGroupie! And have readjusted our Strategy on the thousands of contributors to group boards. 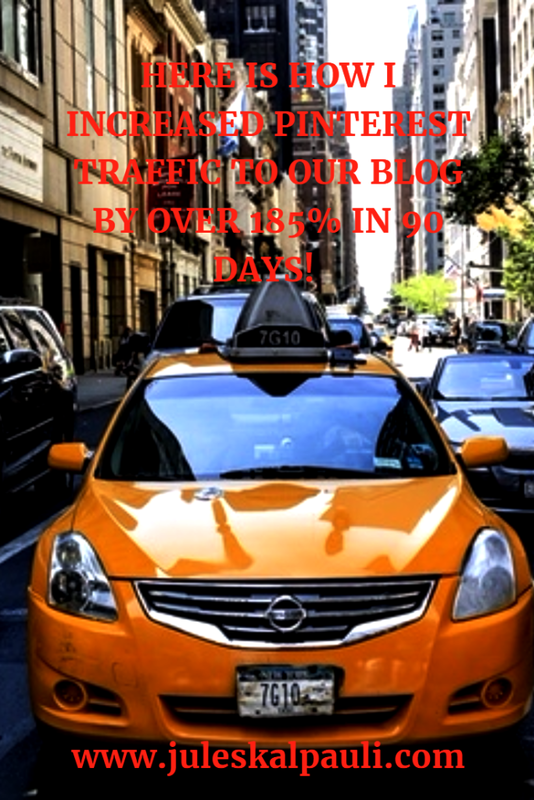 Explode Your Traffic with Our Online Tools for your Blog Promotion. A Zero Cost Checklist of the tools that will help you to build your blog and brand online and allow you to work anywhere, watch your desired results explode! I followed the last 2 steps over and over in the 90 days until 2nd week of Feb! So this is the strategy I used to increase Traffic from Pinterest to our blog. The only thing I would do different is Focus more on Growing our audience, which is our next experiment. And here you have it, how we grew our audience from 256 to 2118 a percentage increase in growth of over 185%. We increased traffic from a slow 50 views per day to over 750 site visitor per day from Pinterest a whopping 800% increase. Despite the Pinterest changes that are making it impossible for new pins to hit the top of the newsfeed! Now our aim is to grow a targeted and active audience and we will share with you our results. As I mentioned in the intro to this article, the above steps helped me to double and increase traffic from Pinterest to our blog in 90 days! You must agree that the results are great. And you must also agree that it’s doable by anyone who wishes to grow their traffic from Pinterest or any other social media for that matter. Since this experiment has been so successful, My plan is to now go through more of our posts and do the same with intent to also grow our audience. A two pronged strategy since I have identified some more niche group boards to share our content. I will be using this same strategy for our luxury travel blog. Until we have a steady 40k plus views minimum from Pinterest alone! And there you have it. The strategy I used to increase Pinterest traffic to our site by 800% and grew our follower base in the process by 185%. If you too are interested in getting more Pinterest traffic for your site (yes we all do,) I highly recommend you Download this PDF NOW and get started leveraging Pinterest for your blog! I know you’ll get the results you desire, it’s so worth it I truly believe this. If you’re looking for more tips on improving your Pinterest marketing, then make sure you subscribe to our Blog here. P.S: IF YOU DON’T HAVE A LIST, AND ARE A BLOGGER OR ONLINE MARKETER OR YOU HAVE NO CLUE HOW TO BUILD A LIST, YOU NEED – THIS TRAINING NOW. I am such a fan of yours. I hope you will participate in my Pinterest expert interview. I’ve written you several times about it. Just a short response about why Pinterest is still worth bloggers’ time would be great. A sentence would be fine. Thanks! Congrats on an important article. We got a mutual fan club and I totally dig your content too hun. Of course I can add you. The Tribe is predominantly Travel I can recommend a Tribe for Fashion and Styling. You would need to reach out to the admin to get added. These Tribes are in Beta! I recommend this tribe https://www.tailwindapp.com/dashboard/tribes/272 the admin as called Amanda! I will definitely be following your advice and start working on my Pinterest. I do have an account/profile, but it ain’t much. And it doesn’t send me any traffic. Hmmmm very interesting. I’ll need to revise my Pinterest strategy. Like you, at first I didn’t pay much attention to it, but I’ve noticed traffic coming from there, so your post is exactly what I needed 🙂 Pinned, stumbled, tweeted and shared on G+! Yes its very important to pay attention to what works and then rinse and repeat until further notice lol! Go rock your pinterest hun! Hi Donna, what a happy day, twice lucky for us. And glad you got value! Keep rocking! Laying out all the steps is always helpful and I enjoyed how concise you were with each step along with all the necessary details. So glad you dropped in Via the Pits top. Love that resource. 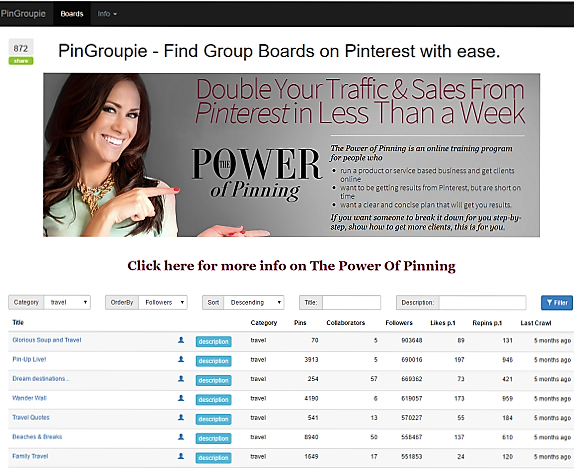 Pinterest is way more than a fun resourse for a blogger/internet marketer. And glad you get it now. I read this post a few times as there was so much information here. It truly is a gold mine, you are right Pinterest takes time. I am finally getting some referrals from Pinterest, which had me super excited. I love how you said to go back and use google analytics to fix older posts. 🙂 Great idea! I am so glad you are applying the training and Getting results Woo woot. Thats what I like to hear! Wow…what a treasure trove of information! I have a lot of work to do when it comes to Pinterest and this post was extremely helpful. Thanks so much for sharing! Wow! Great tips, and today I plan on working on pinterst, glad I found this when I did!! I just got back into blogging after a 7 year hiatus. Pinterest didn’t exist when I blogged previously, so I have a good deal to learn about how to use it to boost my blog. Lots of great info here that I found quite helpful. I am glad you are back into the bloggy world and That you found this article to get you going on Pinterest Marketing! So glad you got value and absolutely bookmark. Why not download the PDF its so much faster although we totally dig the page visits lol! Action takers get the results! I have heard of the change. I should def. pay attention more. I usually don’t, though it is on my list to buckle down and do so eventually. The change has definitely affected the way we use Pinterest and If one doesnt check and make adjustments one will be left wondering whether Pinterest really works! [ Smiles ] Thank you for sharing these Pinterest tips with me. This is very useful information. I’ve tried a couple of these ideas lately and they really helped increase my traffic. Glad to have some testimony of the applicability and results others are getting! You nailed it, Julie! This is a very helpful post, Pinterest is one of our most useful tools and it is very nice to know that we can really increase our traffic! Wow, is all I can say. What a great blog…I had to save this for future reference so I can truly dive in and take my time as I walk through these very important steps. Thanks for sharing. Wow what a whopper of a post! Thanks for all those tips about increasing your traffic from using Pinterest Julie! That’s great to see how well this has worked for you. I know I need to take some time someday so that I can work more on Pinterest. I need to fix mine up some. Thanks for the great tips! Thats my Misssion, so more mainstream bloggers and Internet marketers use and gain fro this sharing platform! I love posts like this where the advice is backed up by data. Awesome results and can’t wait to you increase your page views to 40K a day with Pinterest. The majority of my traffic comes from Pinterest! Repining old pins, especially seasonal posts, really help too! Thanks for that extra tip. Indeed its true! Glad you swung by! Great tips on growing my pinterest. I needed this info. Thanks for the post. Yes, Teach, I am a slacker as well when it comes to Pinterest! 🙁 Your very informative post has certainly confirmed that. Will try to make amends. Thanks! WOW! this is so cool, and I don’t even have a pinterest account. I am going to create an account asap and follow these tips to get more traffic. Thanks. Go get em my dear and thanks for stopping by! Dive into our Pinterest Category for a whole lot more! Wow, this is amazing. Thanks for the tips, you are such a big helper! keep on posting and helping other people, you are great! As long as someone needs our help and what we learn and know works, we will teach & share 🙂 Thanks for stopping by! You’ve got all the details I am looking for! Your post is very informative and long but worth to read through the end! Thanks and keep on posting! Good to see your comment over here. And glad yo got value and appreciate the work we put in! That’a lot of serious info up there! I’m amazed that you guys are really willing to help out your fellow Pinterest users, I’ll start by downloading that PDF file, thanks! A blogger who is not giving is not gonna make it long term period. The whole Idea of blogging here for us is to share whats working and help cut other’s journey shorter always. Its what keeps our clock ticking @juleskalpauli 🙂 Thanks for the support and go get em! I could really use the help on my Pinterest. I can’t seem to find the secret to making mine grow. Thanks! I’ve been seriously slacking on Pinterest. It would be great to get some more traffic! I’m faving this page so I can keep referencing it. Pinterest thrives on interesting articles with beautiful pictures and that’s really how you can grow your followers. If you fix your boards, making it organized and pretty, that’s how you’ll get a pinner’s attention. Very valuable information for pinterest. Will have to come back to this later to digest. Thanks Julie! Great post!! I book marked it to refer to later, you have really got me in high gear to start my pintrest marketing. You have had great results with this. Thanks for breaking it down for us! Julie, thank you for this valuable information and very thorough. Pinterest has more people willing to make purchases than any other social media site! You got it in one Lorraine. Hope you are leveraging Pinterest! Wow! These are incredible tips for getting traffic through Pinterest! Your results are absolutely amazing! Definitely will go back to your post when I focus more on Pinterest. Consistency wins in everything you do! Thanks so much for sharing this! I love that you got value and are gonna focus more on Pinterest. Feel free to test out my Product it could be your Pinterest game changer! I am saving this post. Of all the social media channels, it is Pinterest that I have not paid much attention to. Thank you for all the valuable tips you have provided. I am so excited to start getting more traffic juice from Pinterest! I am sure glad you have got value and I believe you will get results if you apply these tips and are consistent. You also need to have an end result so you can measure your success! I get most of my traffic from Pinterest, too. It is a GREAT tool for bloggers. Its been a while. Good to hear from you! You need to double check your Analytics and tweak some things as Pinterest is Bringing so many Changes its dropping traffic to people’s content like hugely!